Welcome to the dental office of David E. Pettey, DDS! 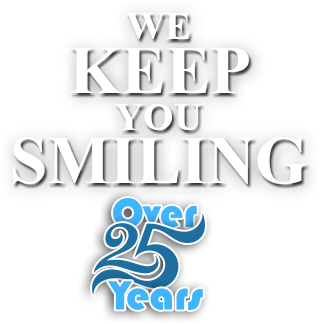 We provide quality dental care for all ages in a friendly environment. Thank you for choosing the dental office of David E. Pettey, DDS, conveniently located in Roseville, California. Our experienced staff is committed to providing the best dental care in a caring, inviting atmosphere. We believe good oral hygiene positively impacts your quality of life. As such, we offer many general dentistry treatments, including routine cleanings and thorough examinations for decay and the presence of gum disease. We offer care to patients of all ages – kids to adults – from early dental care to cosmetic dentistry. An esteemed member of the dental community, Dr. David E. Pettey is part of a trusted network of dental professionals. After earning his Doctorate of Dental Surgery degree from the University of Texas School of Dentistry, he completed a General Practice Residency at the Veteran's Administration Medical Center in West Los Angeles. He moved to Rocklin in 1988 and started his own dental practice in 1990. Choosing the right dental office is a big decision. We offer gentle care to patients of all ages, so we can accommodate any member of your family! Our mission is to strive to deliver quality, caring dental treatment in a friendly environment and to create trusting friendships with each of our patients. We respect each patient as a person, not just a number. By joining our office, you become part of our dental family!